Many people do not understand what a Paleo diet is and therefore have many misconception about Paleo eating. Just because you are giving up certain foods, such as sugar, high fructose corn syrup, grains, dairy, vegetable oils and high processed foods does not mean you have to eat bland and boring foods. The truth is most Paleo recipes are very tasty, in fact you will never notice that certain things are missing from your diet. Recently the Paleo diet has started to change. Many people now think of Paleo as the base of their diet and always try to purchase the least processed foods available. Here are the best 55 easy Paleo recipes to make your diet addictive. One of the most difficult things that you might face while starting the Paleo life is giving up on sweets. For those of you who have a natural sweet tooth, this task will seem almost impossible in the beginning. However, the great thing about Paleo is that it takes only about a week to acclimatise your taste buds to the new flavours. 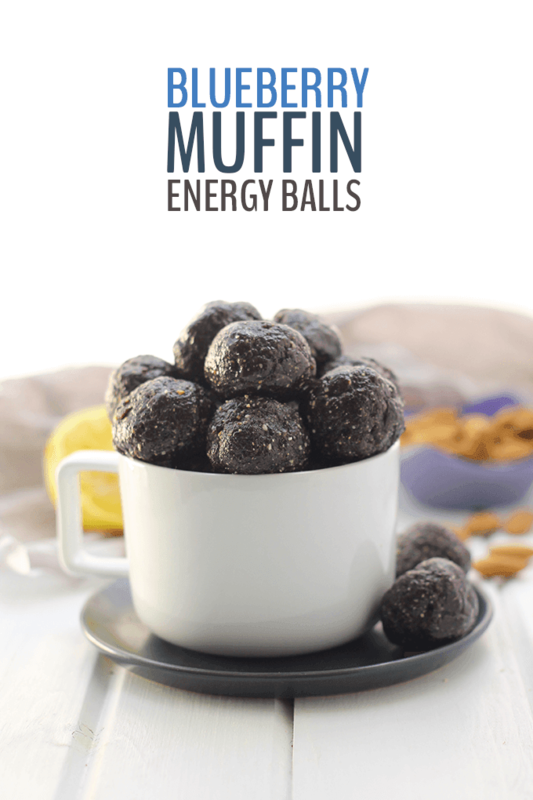 If you are still looking for a little sweet something once in a while, these blueberry energy balls will definitely do the trick. All it takes are some nuts, blueberries, dates and seasoning. The recipe is very easy to make as it mostly requires some blending and the result is a great dessert without the harmful ingredients like refined flour or sugar. Have a Paleo party to throw and cannot figure out the menu? These sweet and spicy chicken fingers are a must try. The best thing about them is that they are not filled with the dangerous trans fats that store made fingers have and neither do they have the usual Standard American Diet gunk. The recipe focuses on providing the best taste with maximum nutritive value and this is perfect if you want to impress the guests without worrying too much about the waistline. Simply combine some almond flour with some all natural potato starch and coat the chicken fingers after having seasoned them with Paleo seasonings. Switch to baking with a small drizzle of oil to avoid deep frying them and voila! You have the perfect, healthy appetizer. While the loss of comfort carbs is a huge adjustment for some of us, the better part of following the Paleo lifestyle is the shift to high quality protein and fats. Some of us will find that this shift is a welcome break from the days of low calorie diets that often leave us craving more food. The Paleo nutrition palate is designed to simultaneously provide more satiety and nutrition and it is keeping this in mind that we now present a classic avocado and egg salad recipe. The highlight of this recipe is the lack of mayo, which many might want to avoid due to the trans fat content. All one needs is some mashed avocado, some light seasoning and boiled eggs. Serve them as part of a snack or even as an appetiser to some party and watch them disappear right under your eyes. When it comes to starches, the other thing that many people miss is rice. Since it has been such an integral part of many cultures, a lot of first time Paleo followers cannot get used to the shift away from starchy carbs. Fortunately, there is an easy solution to this issue. Using grated cauliflower as a substitute for white rice is not only a smart decision but also a very easy way to include more veggies in the diet. Cook the grated cauliflower with some low carb green bell peppers and shallots and you have the perfect fried rice with none of the unwanted starch. One of the most serious changes that you will face while giving up the Standard American Diet is the loss of bread or any wheat item. As many of you might be knowing, wheat if full of gluten that is an anti-nutrient which many cause serious intestinal complications. For all those who are looking for the perfect substitute for bread, this Paleo flatbread recipe is a heaven sent. Use them as part of your sandwiches or even as a side to a Paleo salad. These flatbreads are full of protein and high in fibre and nutrition. Coupled with the fact that they are easy to make, this recipe is bound to make your transition into Paleo much smoother. The wonderful thing about Paleo is that one gets to try out a number of proteins that they were afraid of eating earlier for the higher fat content. Eggs is one of them as is shrimp. This seafood item is one of the most popular Paleo inclusions and the best way to enjoy them is by stuffing them in a low carb taco shell. Prepare the shrimp with some tapioca and cook it with a few drops of coconut oil. To make the filling, add mayo, sweet chilli sauce and some sriracha to low carb salad veggies. After the stuffing has been prepared, you can get cracking on the tacos and instead of the regular wheat ones, make some from good old coconut flour and tapioca flour. Proceed as you would with a normal taco recipe and there you have it! A low carb, shrimp bang bang Paleo taco. Perfect for your everyday Sunday brunch, this Paleo frittata recipe is bound to win hearts. Since the recipe is dairy and gluten free, it is also a good idea to give it to the kids who might be allergic to these food groups. The bulk of the recipe is composed of sweet potato, asparagus, some onions and various mixed herbs. Combing them with egg and almond milk and baking the frittatas as you normally would is sure to produce fantastic results. When it comes to dessert, there is probably nothing under the sun that cannot be converted into a Paleo version. From tarts to cakes and muffins, the Paleo experts have designed their recipes in such a way that one doesn’t even have the need to stray into the big, bad world of processed food. The recipe for cinnamon vanilla muffins is one such creation that has been a huge hit with Paleo followers everywhere. All it takes is some coconut flour, vanilla extract, almond milk, eggs and cinnamon. Combing them in proportion as you would do in the case of a simple cake is bound to cater to the post-dinner sweet tooth in a healthy and low-carb manner. One of the joys of cooking Paleo is the sheer versatility of dishes that you can produce. Be it a summery drink or a hearty winter meal, the Paleo world is filled with many, countless options to make your life easier. One such recipe is the ‘Hearty Paleo Breakfast Skillet.’ What this refers to is basically a healthy and wholesome meal including eggs, beef, bacon as well as some low carb veggies. The idea is to cook the lot of them together in a skillet so that they become a full meal that can be enjoyed in large gatherings or over several days. As with the other Paleo recipes, this one, too, focuses on whole foods that are natural, organic and delicious. As with the skillet, this is another Paleo recipe that caters to nutrition, taste and satiety. The breakfast hash is an easy to cook Paleo inclusion that combines tonnes of veggies such as sweet potatoes, bell peppers, onions and spinach along with some beef and eggs. The idea is to cook the veggies with seasonings over some oil and garlic and add the beef in later in order to create a perfect ‘meat and veggies’ creation. Since it is a breakfast recipe, serving them with over easy eggs is a perfect way to start another healthy, low carb day. If you are a big follower of the games and have guests to cater to, this loaded sweet potato skins recipe is sure to be an instant hit. When we think of watching some games with our loved ones, food is always an important aspect. One of the most popular recipes that games night inspires is some crispy, loaded potato skins. But if you are an ardent Paleo follower, the run-of-the-mill bar option is obviously a strict no go. What you can do instead is use some crisped up sweet potato skins, load them with mashed and seasoned sweet potato flesh, some crispy bacon and melted cheese and lo and behold! You have a splendid recipe that is both healthy and tasty. As with rice and bread, one of the other popular items that are a no-go in the Paleo kitchen is pancakes. However, the wonderful part of pancakes is that there are at least 50 different ways in which one can turn them into a high protein, low carb wonder breakfast that is perfect on a winter’s morning. This whole and natural pancake recipe only uses bananas, eggs and a few sprinkles of cinnamon to create the best sweet and nutritious tasting breakfast. All one needs to do is whisk the eggs and cinnamon with mashed bananas and ladle the mixture onto a skillet. Not only is this recipe gluten and dairy free, but it is also filling without being a gastric irritant. On the whole, it is easy to cook and can make for a great family breakfast. When it comes to versatile cooking, Paleo undoubtedly takes the proverbial cake. Since the lifestyle focuses on meat and all kinds of veggies, it is very easy to find many tasty and delectable food recipes that are easy to make, fun to eat and wholly nutritious. One such recipe is the one for stuffed peppers and turkey. As the name suggests, the recipe combines a tonne of vegetables with cooked turkey and mixed herbs. For all those who are looking for leaner cuts of meat and prefer a lighter dinner, this recipe is a must try. Since it caters to the nutrition needs of the elderly as well, you can make them at a family pot roast and count on impressing everyone with the taste, flavour and overall nutritive value. As with the pancakes and the flatbread, this recipe for raviolis is a substitution one as well. The ravioli base is basically some thinly sliced squash and the filling is ground chicken and some spinach. All one has to do is line the filling at the centre of the squash fillets and roll them up to look like raviolis. Before serving these raviolis need to be boiled till cooked and you can serve them with either cream or some cheese. On the whole, this is a very easy recipe once you get the hang of it, and it is quite innovative as well. When we think of burgers, the image that comes to mind is a trans fat and grease laden high carb concoction that is sure to wreak havoc on your waistline. One of the best ways to enjoy a burger with all its flavours and textures is to make it at home with some low carb substitutes. For this, the bun is replaced with lightly seared tomatoes and the burger patty is your classic beef and avocado combination. The tender texture of the beef is paired perfectly with the creamy layers of avocado and the whole burger is rounded off with some classic tangy flavours from the tomato. Overall, this is a recipe that must be tried as both a fun and a healthy cooking experiment. Who doesn’t crave popsicles on a hot, summer afternoon? For every Paleo follower, table sugar is a definite no-go. As many of you might know, sugar is almost as bad as poison since it wreaks endless havoc on your immune system. However, one of the best ways to satisfy the inevitable Popsicle cravings is to create one from melons and lime juice. All it takes is some blending of the fruit- a melon citrus infusion- and pouring them into cups for freezing. The citrus adds a zing to the mixture and is a must try for those who love a good frozen treat. Chicken is one of the best sources of lean protein. Whether you are into athletics or are a regular gym goer, one of the first things that you should gravitate towards is chicken. However, one of the pitfalls of the protein is that it can get boring quickly. In order to spice the chicken up, this recipe that combines the meat with some rich, creamy, low-carb tomato sauce is a must try. Whether it be for a gathering, or even for a weekend dinner, this recipe is perfect as it incorporates taste and health in maximum proportions. Easy and fun to make with the kids, this ice cream recipe checks all the boxes on the Paleo front as it combines almond milk, Paleo chocolate, natural honey, avocado and mint. Blending them and following the manufacturer’s instructions to freeze them into ice cream blocks is the best way to go and since it is a fun and safe recipe to try out, it can also be a great exercise in which to involve kids. A must try for all those with large families; this recipe is bound to be a summer hit. Even those who have been following Paleo for a long while, often report cheesecake cravings. The rich creamy dessert, however, is loaded with sugar that can do serious damage to the body’s metabolism. The best way to tackle the cravings and still stick to the Paleo plan is to make these salted caramel cheesecakes at home. The recipe calls for the heavy use of pecans, coconut and nuts so as to recreate the creamy texture with all the health trimmings that one can ask for. Overall, it is a perfect way to indulge in a truly healthy and natural way. The best part about Paleo is the way the recipes utilise every bit of the vegetable in order to provide both taste and bulk. In this spaghetti recipe, the bowl is none other than a cooked squash itself, while the filling is a rich turkey based recipe that uses mixed herbs, Italian seasoning, balsamic vinegar and tomatoes. Overall, this is a meal in itself and it follows the Paleo framework perfectly as it combines meat and veggies in a perfectly delectable ratio. While it might seem like a strange idea grilling watermelon wedges, this recipe for a grilled fruit salad is one of the best in the lot of paleo recipes. All one has to do is assemble the watermelon, drizzle some honey, salt and olive oil on them and grill them to perfection. The entire process takes less than 5 minutes and if served with fresh cheese and tomatoes, this becomes one of the most tasteful fruit platters ever served. The reason this recipe is called donut cakes is actually because it talks about paleo cakes in the shape of donuts. Many studies have found that people respond to shape as much as they do to any particular food craving. It is for this reason that this almond flavour, coconut butter and strawberry cake is a perfect weekend treat to satisfy all your cravings. The recipe is simple and fun and can become a very good Christmas offering to fellow low-carbers. As we have seen in the case of cauliflower fried rice, this vegetable is a perfect substitute for any starch product. It is for this reason that the cauliflower crust is bound to be a huge success. All it takes is some fine blending and some dexterous finger work while combining the vegetable with some eggs. After this it’s a simple pat down and baking process that will ensure that your meal is ready in no time at all and with all the furnishings of a low carb, healthy breakfast. A lot of restaurants utilise tonnes of refined flour while making a pasta sauce. However, if you are following the Paleo template, this type of sauce will be a definite restricted area for you. Thankfully, there is an even better way to enhance the flavour of your pasta dish by incorporating this creamy sauce into the mix. What one needs is a little avocado, some fresh spinach and some fresh basil. A simple blend does the trick and what you now have is a creamy, thick and extremely healthy pasta sauce that can be enjoyed by all. A fun movies night with your friends is one of the greatest pleasures of life. To complement this occasion, one of the few things that you can try is making a loaded paleo nacho. This recipe is both versatile and if you have a lot of friends coming over, it can cater to everyone’s tastes. The nacho chips are made using sweet potato and the stuffing is a perfectly cooked chicken chipotle recipe. Overall, it is easy to cook and a perfect snack that one can enjoy with loved ones anywhere. Who doesn’t love a good pasta dish? One of the pitfalls of pasta recipes in the market is that they can be full of unwanted thickening agents. The best way to make a pasta sauce is by sticking to a home recipe that has been tried and tested by many fellow Paleo followers. This recipe involves a basic blending process that incorporates avocado, spinach, basil and some herbs. The resultant is a thick, creamy sauce that can rival any store bought pasta sauce. It is a perfect addition to family lunches and is a great healthy recipe that should be given a shot. A combination of chicken, spinach, avocado, feta, almonds and poppy seeds; this salad recipe is a must try for those who are working and want to stick to the Paleo template in the lunch hour. The recipe calls for an easy dressing with some olive oil and citrus extracts and can be made anytime and packed off to the workplace with ease. Overall, it is a good way to stick to the Paleo lifestyle without sacrificing on taste and bulk and is a perfect lunchtime addition to your day. This simple 4 ingredient recipe is one of the easiest Paleo dessert creations out there. Catering to the cravings of women everywhere, this recipe is a perfect mix of peanut butter and a rich brownie flavour. However, as opposed to processed foodstuff, all one needs to make this recipe a success is some peanut butter, dates, raw almonds and cocoa powder. Combining them in a dough like mixture is all this process requires and the balls are ready to eat as they are being formed. A simple, but healthy recipe, these Paleo balls make a good winter treat all the time. Whether your family is Paleo or not, you might find that many of your relatives might be suffering from celiac disease or other allergies. In these cases, this coconut flour cake is a perfect birthday or Christmas surprise as it uses no wheat and can be made in simple and easy steps. With some coconut flour, coconut milk and honey you can make a fantastic cake that is sure to keep everyone happy and satisfied. This dairy free, egg free dessert is a heaven sent for those with allergies. Since the paleo recipe uses coconut milk, pumpkin and sweet potato puree; it is safe to be consumed by all. The only extra addition is gelatin that gives it a thick consistency. With some vanilla and cinnamon, the recipe is sure to be a huge hit among friends and family and is a must try during any social gathering. Who doesn't love a little spice in their life? This spicy shrimp is created with a homemade chili garlic sauce that can also be used on chicken. This sauce is quite spicy since it is made with red jalapenos but the additions of fresh orange juice and honey tone the sauce down. It is very simple to make and is one recipe you will want to make often. Yes you can have chocolate in a Paleo diet as long as you use cocoa powder. If you need a quick dessert or a treat to send with the kids to school these bars do the trick. As for easy, all you do is throw the ingredients in the food processor and make sure they are mixed well. Then you just spread them into a pan and freeze for an hour. Cut them up and enjoy. Keep the extras in the fridge to eat the next time you need a yummy treat. What kid doesn't love chicken fingers? This recipe is a bit spicy so if your kids prefer plain than just leave out the spices when you make them. These quick and easy chicken fingers are done cooking in only 16-18 minutes. To make them really easy just buy skinless chicken tenders or if they don't have any buy the skinless breasts and cut them into strips. Dip the tenders in an egg and then into the coating. Put them in the oven and turn about half way through. This makes a great meal any day of the week. This salad is not only delicious it is also bright and pretty. This salad contains mangos, cashews, arugula, red cabbage, carrots and a few more ingredients. It even comes with a recipe for the dressing that goes perfectly with the salad. If you like a little spice you can add red pepper flakes to the dressing. This is not your ordinary salad, it is much better. These don't just look pretty, they taste great. This recipe works equally well for crab cakes. You are given a choice to make them with or without an egg and also a choice of fried or baked. They are made with canned salmon or crab so they can be made anytime. Mix everything together and form your cakes. You usually get about 14 mini cakes or 7 larger cakes. If you decide to fry them, be sure the bottom is crispy before flipping so it does not fall apart. This frittata will remind you of a pizza even though it is made with eggs and is another very simple recipe. You start it out on the stovetop and finish it in the oven. You do keep it in the skillet when placed in the oven so be sure your skillet is ovenproof skillet. This frittata will really emphasizes the tomatoes by bringing out their flavor. You can also make this with other vegetable is you choose. This is a simple crock pot recipe. This beef is cooked in a liquid made from balsamic vinegar, red wine and beef stock. This liquid is slowly absorbed into the beef. The juices that come from the roast then fall to the bottom of the crock and flavors the vegetables cooked with the roast. When you remove the lid from the crockpot the kitchen will fill with the wonderful aroma of this beef. You will be surprised at how tender the beef is when it is cooked this way. How about a smoothie that tastes as good as it smells? It also has those wonderful spices we associate with fall. This smoothie contains pumpkin, apples, vanilla, a little honey and spices. It is a nice cool treat that everyone in the family will enjoy. And you sure don't feel like you are missing out on anything while drinking this smoothie. These make a great snack for the whole family. You only need 5 ingredients for these chips: zucchini, salt, pepper, smoked paprika and olive oil. You salt the chips and let them sit for an hour to help the zucchini dry out a bit. This will allow the chips to get crisper. Bake them at a low temperature for 45 minutes and then let them sit in the oven for another hour. Vegetables are very important with a Paleo diet. These asparagus taste so good with the ginger, lemon, garlic and other ingredients. You just coat the asparagus with the marinade and back in the oven. Brown the almonds and sprinkle them over the asparagus when they are removed from the oven. This hearty bean free chili is made in the crockpot. You use cubed stew meat and cubed pork, add a lot of peppers, seasonings, tomatoes and more. Let everything slow cook for about 10 hours so that all the flavors have a chance to mix together. After having this chili you will never go back to chili with beans. Another great snack or quick treat after dinner, these key lime bites are so easy to make you will make them anytime you get the chance. The ingredients are added to the food processor in a certain order. After they are all mixed well you just make them into balls and roll them in coconut. Whether your having a party or just love the taste of chicken wings this recipe makes them perfect every time. You also get a Paleo ranch recipe to dip the wings in. The hardest part of this recipe is frying the chicken wings. Once they are nice and crispy put them in a bowl, pour the sauce over them and mix. Don't be surprised when they disappear quickly. In this dish the zucchini replaces the lasagna noodles. It only takes 10 minutes to prepare this for the oven, instead of forever when making regular lasagna. You can top with grass fed parmesan cheese, or if you don't want the cheese just leave it off. This lasagna is so good nobody will ever realize there are no noodles in it. These are so pretty it almost makes it a shame to eat them. Instead of using nachos the recipe uses sweet potato chips. The chips are put on the plate first in a large circle. The meat and tomatoes are added next and then the guacamole sauce. This is another great party dish or a great snack while watching a movie at home. This is great to make in the summer when these fruits are in season. This is so simple the kids can help with it. Using a medium bowl add all the berries and cherries. Mix some vanilla, clove powder, cinnamon and mint together and pour over the fruit. Let chill for a while and then serve with a garnish of mint. It is a perfect summer dessert. Peach season is always one of my favorite times of year. I love the smell and taste of peaches. This recipe makes a wonderful peach crumble that smells wonderful when cooking. The hardest part is to cut the peaches into slices. After that place them in the pan and cover with the topping. This will definitely be one of your 25 easy Paleo recipes to make your diet addictive. Here is another great fall recipe and couldn't be easier to make. You just combine all the dry ingredients in a bowl, beat the eggs and the rest of the wet ingredients and mix well. Your mouth will be watering long before this wonderful bread is finished because the smell of pumpkin and spices will waft through the house. This makes a great snack or even a dessert. Rosemary and lemon go very well together and add great flavor to this chicken. You will need an ovenproof skillet for this easy recipe. Just sprinkle spices on the chicken and brown it on both sides in your skillet. Then remove from heat and squeeze the lemons over the chicken. Don't throw the rinds away, instead place them in the skillet around the chicken. Add some rosemary springs and bake. This chicken does not only look great, it tastes great too. If you love slushy drinks on a hot day, this recipe will become a favorite. You use only 4 common ingredients and some ice. Put everything in the blender and blend until it is smooth. If you have oranges, use a slice to garnish the glass. This is a perfect drink for any hot summer afternoon. Ok, the name of this recipe may be a little strange, but you will love the finished product. This is a great way to get the taste of french toast. The "omelet" is made from eggs, vanilla and cinnamon. You cook it sort of like a crepe. When it is done cooking place it on a plate and spread with the applesauce and add sliced strawberries. After you have this for breakfast you will not miss french toast again. Here is a great recipe for the grill. You make a great marinade and cut your boneless, skinless chicken breasts into about 1 inch pieces. Pour the marinade into a Ziploc bag and then add the chicken to it. Zip the bag and place it in the refrigerator for a minimum of 2 hours. The longer you let the chicken marinate the more flavor it will have. Make your kabobs with chicken, red onions and cherry tomatoes. After you place the kabobs on the grill brush the extra marinate onto the chicken. You will love the taste of these kabobs and they will be a staple when you heat up the grill. Just because you can't have grains does not mean you can't have great tasting muffins for breakfast or a snack. These banana nut muffins taste so good you will never be able to tell the are Paleo. These are best made with very ripe bananas because you will get more banana flavor. Eat them warm right after they come out of the oven. Or if you have a few left over, heat it in the microwave between 15 and 30 seconds to warm them up before eating. Wraps are a great idea for lunch. Lettuce wraps are becoming much more popular. This one would satisfy anyone. You make a simple chicken salad with cubed cooked chicken, Fuji apples, red grapes honey and almond butter. This is so simple to make but it really hits the spot when you are in the mood for a great lettuce wrap. It is recommended that you make this in a cast iron skillet but if you do not have one, an ovenproof skillet will work. This is another bright and colorful meal, which always makes them look more appetizing. Just chop up your vegetables add put them in the hot skillet after you add the oil. Then layer the cut up sausage on top. Cover with foil and bake for 25 minutes. Quick, easy and very tasty. This is a great list to make your diet addictive. It has a great mixture of meals, snacks and sweets. Once you try some of these recipes you will see that eating a Paleo diet is not only good for you, it also tastes great. You will soon become addicted and will never miss the foods you gave up. You will feel healthier and give your body more energy. Check out other great food recipe collections here.